The 2017 Jaguar XF separates itself from other sedans on the road by providing a luxury and innovative interior that’s not found on any other model. From customization to ambient lighting, take a look at what you’ll find in the cabin of this model. Not many vehicles can claim that their interior comes to life, but the Jaguar XF can. When you push the start button on this vehicle, the air vents rotate open, the engine growls, and the JaguarDrive™ selector rises smoothly, all to let you know this vehicle is ready for the Baltimore roads ahead. Knowing your vehicle uses the best materials and craftsmanship offers a nice sense of excitement. Inside the XF, everything is soft to the touch. The carbon fiber and wood veneer finishes complement the multiple material choices that make this model stand out among a crowd. No matter where you’re going, you can rest assured you’ll get there in style. Some vehicle manufacturers claim to have great materials, and while they may, they lack certain craftsmanship that would truly elevate the vehicle. Not the 2017 Jaguar XF. This model not only uses the best materials for true comfort, but it also puts plenty of attention into every detail, including the stitching and leather embossing that are found within the cabin. What separates the 2017 Jaguar XF from other luxury models on the road is the ability to personalize it to your exact style. Choose from sleek veneers, high-quality materials, and leathers in multiple color combinations to make the cabin truly your own. You even have the ability to customize the optional illuminated treadplate with your own words—how many other vehicles can give you this type of power? When you’re inside the XF, don’t hesitate to set the mood. With the available ambient lighting package, you can create an elegant cabin that enhances the beautiful and comfortable interior. Whether alone, on a date, or driving with a group, this is a fun feature that you’ll enjoy having while driving through Washington DC. Arnold drivers deserve the best of the best, and the 2017 Jaguar XF is a great choice. The interior of this new model will make you feel like royalty every time you hit the Baltimore road, and the ability to customize it to your liking gives it a giant edge over the competition. 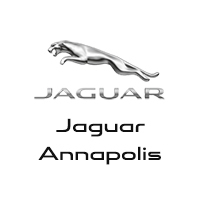 Jaguar Annapolis has a large vehicle selection for you to choose from, so visit us today at 101 Ferguson Road in Annapolis to see our models. You can also contact us online or call us at (410) 904-3107 to schedule a test drive, apply for financing, or learn more about this new model.